I am sure you have seen the sleek ads; A smooth voice speaks confidently while uplifting music plays in the background and smiling customers diligently work away in a modern office… The voice promises you a website that not only looks amazing but one that can be built in just a matter of minutes with easy-to-use tools that allow users of just about any skill level to create their perfect web site. 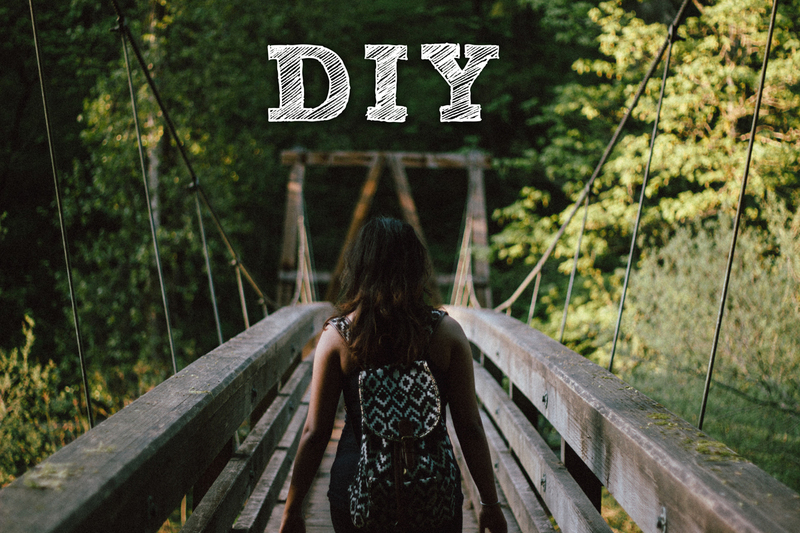 Yeah, yeah, we know that all advertisements are going to be at least a little misleading so a bit of exaggeration is to be expected from their marketing departments, but lets look deeper into DIY website design. There are many online businesses offering DIY (or “Do it Yourself”) website builders, with WIX, Squarespace and GoDaddy probably the biggest and most well known; thanks in large part to their budget-busting marketing campaigns and memorable Super Bowl ads. www.Rome.com Wasn’t Built in a Day! So can you really create an working website in the same amount of time as it takes you to microwave a frozen burrito? No, of course not. Even a web design professional would need at least a few hours to build and complete a brand-new website from scratch; much-much longer when you consider theme modifications or a custom built website. So what about the Average Joe? Depending on your skill level, technical knowledge and what you’re trying to accomplish with your new website, it will vary from at least several hours for something extremely simple/basic, to several days or weeks for something that you can really be proud of. So What’s the “Real Cost”? Too often we only associate “cost” with money alone and ignore the indirect “cost” of things like lost time and sales revenue. Lets say building your DIY website takes you 10 days and that you averaged 3 hours per day for 30 total hours. The question you should ask yourself is; what is your time worth? Had you spent that time focusing on your business or personal life instead of building a DIY website would you have been better off? Will the total cost of lost sales or productivity exceed the cost that a professional web designer would have charged to do it for you? There is also a lot of hidden time when building a professional DIY website that you might not have considered. Things like learning the control interface, reading tutorials, watching YouTube instructional videos, selecting your theme, customizing your chosen theme, building each individual page, setting up the website navigation, social media integration, talking to customer/technical support and whatever else has to be done to finish your website… and after all that work your DIY website could look, well, like you did it yourself. How Easy-to-Use are those “Easy-to-Use Tools”? We have worked with many clients who gave these DIY website builders a shot and quickly became frustrated with them. We often have to jump in to fix what is broken and in some cases finish their DIY website for them. The bottom-line is how “easy-to-use” something is has more to do with your skill level than anything else. At The Rusty Pixel, we have worked with just about every DIY website builder out there and while some are definitely easier than others, even the easiest ones still require a high-degree of skill to use effectively. Individuals familiar and comfortable working with computers and technology will obviously have a much easier (and less frustrating) time working with these “easy-to-use tools” than those who are not. However, all DIY website builders are proprietary so even the most tech-savvy among us will still have a learning curve as they can become acquainted with the control area, functionality, various tools and quirks of each system. Additionally, to make the easy-to-use tools “easy” requires dumbing them down for the average person. For this to happen they also need to block access to many areas and aspects of your website which in turn restricts flexibility and severely limits what is possible with your DIY web design, not only today but longterm as your business grows. These factors must be considered before you decide that your new website will be a DIY website. Seek & You Will… Not Find? A major issue that most people do not consider is the way some DIY websites have been constructed using AJAX, this setup can be detrimental from a Search Engine Optimization (or SEO) perspective. It has long been know that AJAX and SEO were never designed to work together and in our experience Google and other major search engines have a very hard time indexing websites that have been setup like this. So even if you build a beautify DIY website, it is possible that no one will be able to find it. Some of these DIY builders even have premium paid plans that put large and distracting advertisements, that cannot be removed, on every page of your website. Worst yet, some DIY website firms will refuse to release the domain name to your control no matter what you do; so down-the-road if you decide to move and build a new website you cannot do so without first changing your domain name. As everyone knows, changing the domain name of any established business can severely damage it by hurting the companies overall brand, loss of accumulated SEO ranking, drop in traffic, fewer sales in addition to making all marketing materials obsolete. If you get stuck or need help building your DIY website the customer support process could very well be the most frustrating aspect of a DIY website builder firm. Everything from hard to find support numbers, machine phone operators, long waits on hold to speak to a human and language barriers dealing with people in other countries. At The Rusty Pixel we are available via phone or email anytime – Give us a call right now at (321) 446-8138 and I guarantee we will answer! Most importantly; Is your DIY website comparable to what a professional web designer would have produced? All DIY website builders claim to offer professional-looking templates but unless you have a great eye for design and can actually layout everything the same way an experienced web designer would, then your website will likely not look professional. Would you rather have a good DIY website and save some money today or have a great processionally build website which can last and grow with you for years to come? Today, nearly all companies are researched online before a customer decides to buy and your website visitors very well might judge your company based solely on what your website looks like and nothing else. So while a DIY website might seem like a great way to save some money now, those saving could easily be lost with wasted development time and a poor quality final product that will have your visitors clicking the “back” button as quick as they can. With a solid web design the vast majority of business can expect to see a dramatic increases in conversions and sales. So think of your website as an investment that will come back to you multifold. At The Rusty Pixel we have been building professional web designs since 2006 and can build you your dream website quickly – so contact us today for a FREE no-obligation web design quote.